Fortnite Season 6 Week 8 has begun. 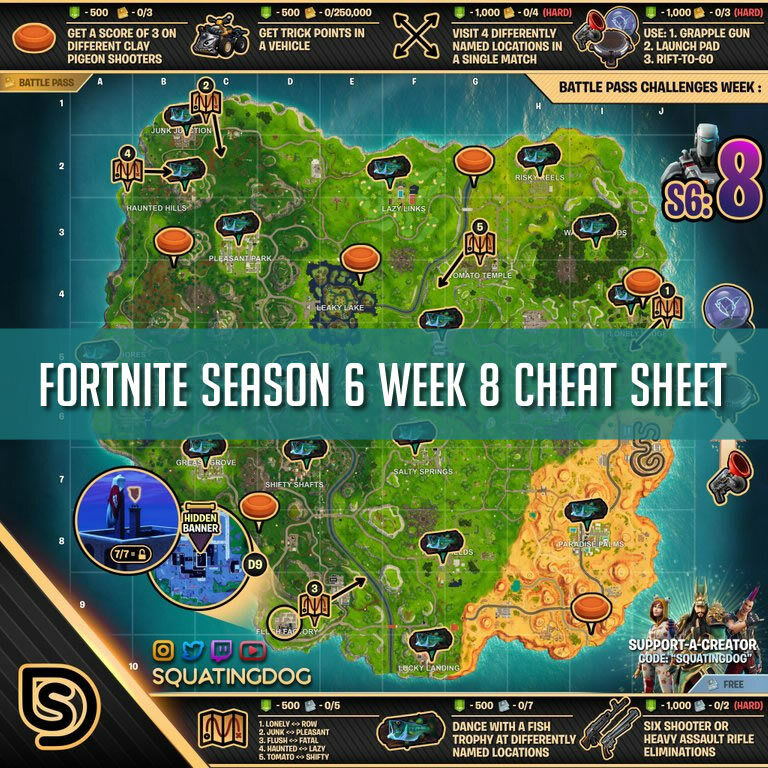 With that start of the new week of season 6 an all new cheat sheet has been released. 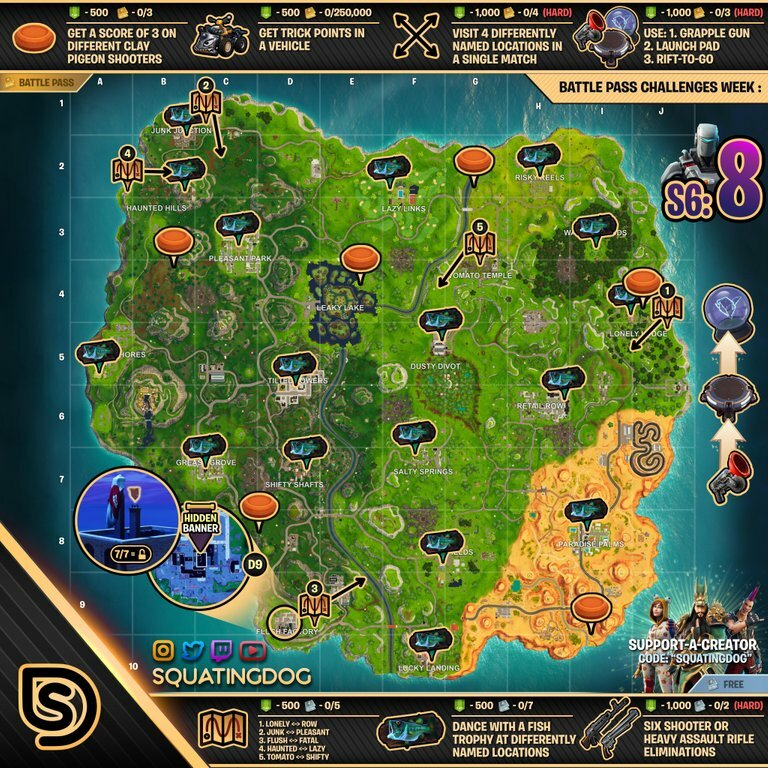 The season 6 week 8 cheat sheet will help you complete all of your challenges to earn 50 battle pass stars. Like previous weeks there are 3 free battle pass challenges, and 4 paid battle pass challenges. Completing the challenges will unlock battle pass stars that are used to rank up your battle pass tiers. By ranking up your battle pass tiers you will unlock in-game items like skins, emotes, sprays and more! Remember, that you need to finish the game after completing a challenge to have it unlock.